The orange juice production line is based on the introduction, digestion and absorption of advanced international technology. 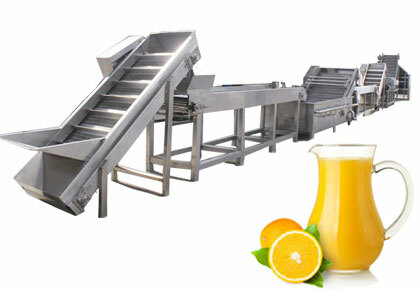 According to the requirements of the production process of orange juice, a complete set of orange juice production equipment with advanced level has been developed. 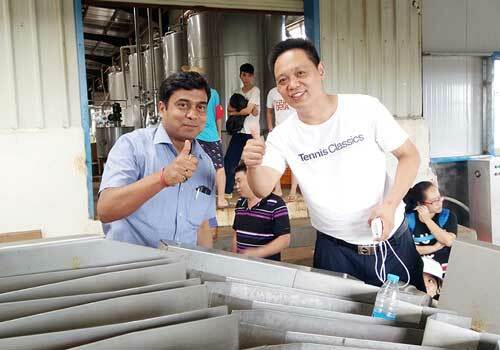 It is mainly used for processing, producing and packaging orange juice, apple juice, mango juice and pineapple juice. The orange juice production line has the advantages of advanced structure, stable work, reliable quality, convenient operation and high production efficiency. The orange juice production line is automatic equipment, so the size of the packing bottle is required to be unified. It is forbidden to use too large tools or force to remove parts so as not to damage the machine parts or affect the performance of orange juice production line. When the equipment is adjusted, it is necessary to tighten the loose screws. The orange juice filling machine part of the production line must be kept clean. In the production process, the liquid medicine or glass debris should be removed in time to avoid equipment corrosion. All parts of the equipment should be cleaned before passing work on to the next shift, and clean lubricants should be added to the various parts. The orange juice production line should be scrubbed regularly, especially in areas that are not easy to clean in normal use. It can also be blown with compressed air. How to choose a fruit juice machine manufacturer in a trade war? How to pick fruit juice correctly?